Further celebrations for Wales this week as Royal Commission publication Welsh Slate – Archaeology and History of an Industry wins the British Archaeological Award for Best Archaeological Book. Welsh Slate was shortlisted for the award in June alongside St Kilda: The Last and Outmost Isle and Stonehenge: Making sense of a prehistoric mystery. The winning book was announced at a ceremony held in the British Museum on 11 July, compèred by television and radio presenter, writer and archaeologist Julian Richards. The book was recognised by the panel of judges for increasing our understanding of the past and introducing it to new audiences and marks the perfect end to a publication project which began in 2007. The Winners! 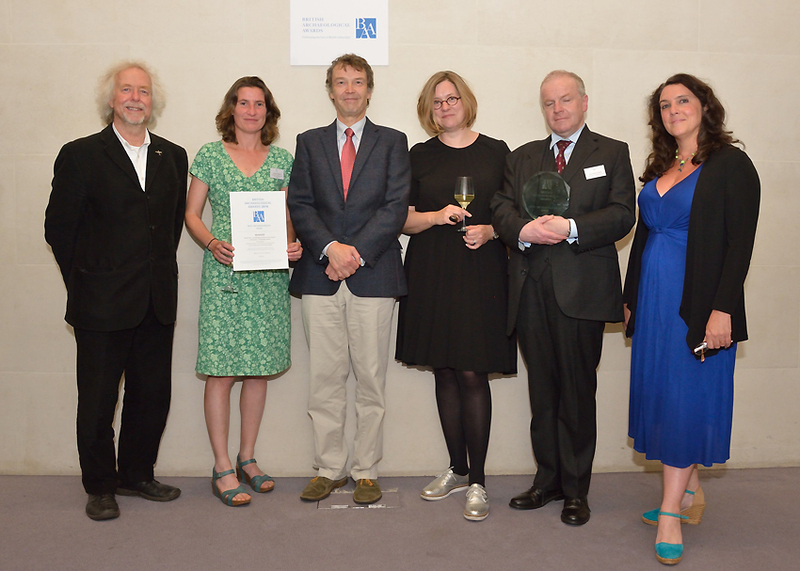 The Royal Commission and David Gwyn with award presenters Julian Richards (far left) and Bettany Hughes (far right). David Gwyn said ‘I’m delighted to have received this wonderful award, not just for my own sake, but for the recognition it confers on the Slate Industry of North Wales World Heritage Bid, and on those who worked, or who still work, in the industry’. Since its publication in March 2015, the book has been highly praised, ‘this thrilling study fills an important gap in our historiography and offers a description and interpretation that cannot be surpassed’ (Y Cymro). This is the second award for Welsh Slate, earlier this year David Gwyn received the Peter Neaverson Award for Outstanding Scholarship. We’re sure it won’t be the last opportunity to celebrate and acknowledge the slate industry, with the book making an important contribution to the developing Gwynedd Council led world heritage nomination. 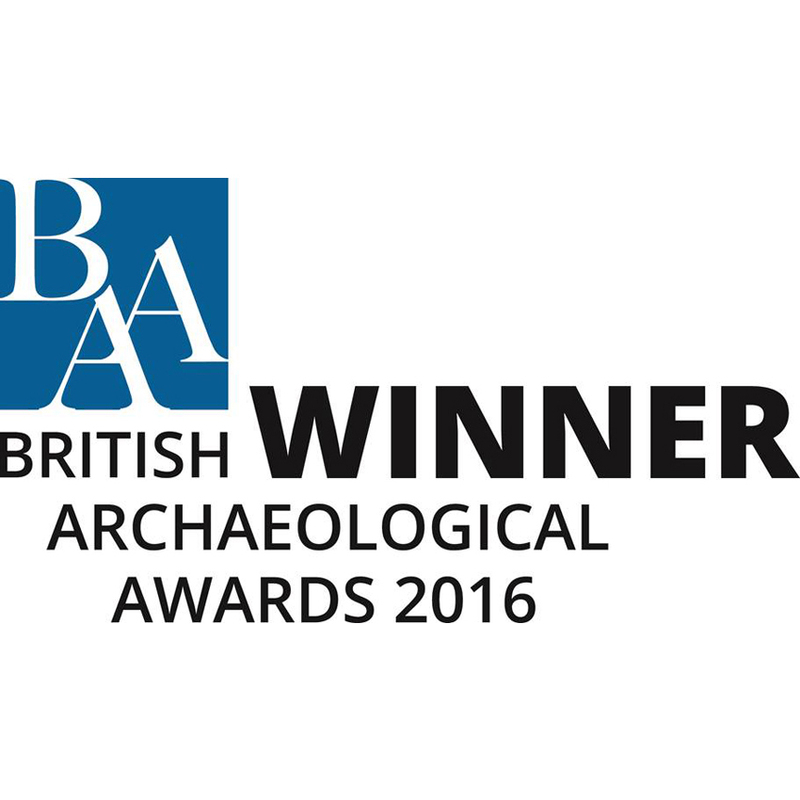 The British Archaeological Awards were founded in 1977 and are Britain’s most prestigious independent archaeological awards, celebrating and showcasing the best in British archaeology. They are managed by an independent charity and take place every 2 years to celebrate the most innovative, accessible and impactful archaeological projects, publications and initiatives. Alongside Welsh Slate, the 2016 winners included Battles, Bricks and Bridges, the Cleenish Community Association and Killesher Community Development Association of Northern Island for Best Community Engagement Archaeology Project; University of York for the Best Archaeological Innovation with the Star Carr shale pendant; National Geographic Magazine for Under London in the Best Public Presentation of Archaeology and Oxford Archaeology South with Westgate Oxford for Best Archaeological project. An Outstanding Achievement Award was also presented to Professor Sir Barry Cunliffe and the Best Archaeological Discovery given to the Must Farm Project in Cambridgeshire. You can see all the winning and shortlisted projects here. These are large format books of 291 pages with 243 high-quality illustrations and cost £45. For further details, please contact the Royal Commission on 01970 621200, nmr.wales@rcahmw.gov.uk.